A classic plaid for Sam, this shirt is deep red and black plaid. It does up with black snaps. In The Man Who Would Be King (6x20), Sam wears it for the entire episode (not including the flashback scene). In The Girl Next Door (7x03), Sam wears this shirt when he hunts Amy through the woods until the end of the episode. In What’s Up, Tiger Mommy? (8x02), Sam wears this shirt from the beginning of the episode until they’ve successfully rescued Mrs. Tran. In Remember the Titans (8x16), Sam is wearing this shirt when he, Dean, Prometheus, Haley, and Oliver arrive at the bunker to wait for Oliver’s resurrection and research how to break the curse. He keeps it on for the rest of the episode. 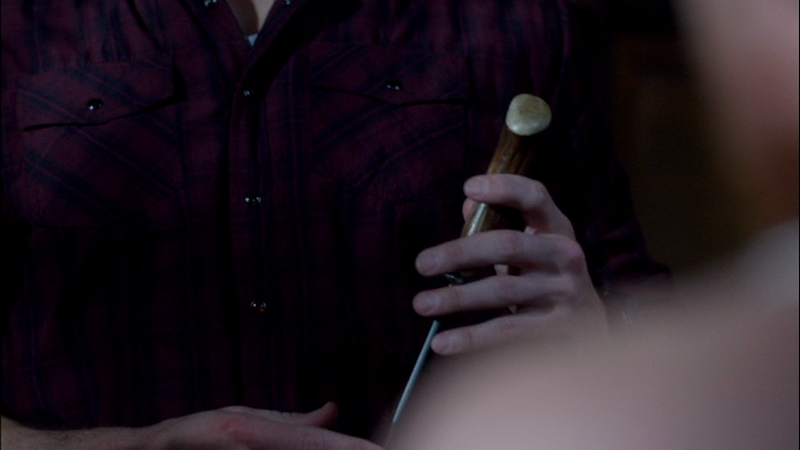 In Holy Terror (9x09), Sam (or rather Sam’s body) wears this shirt when Gadreel meets with Metatron for the final time and gets the order to kill Kevin. He continues to wears this shirt for the rest of the episode. In Road Trip (9x10), Sam continues to wear this shirt for the entire episode. 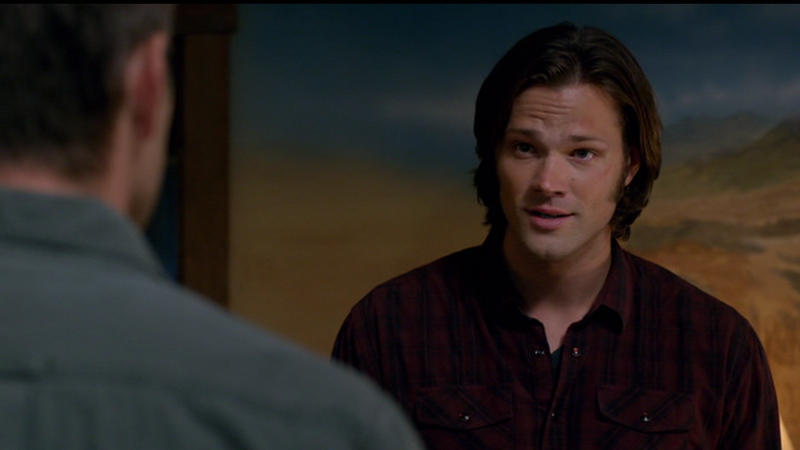 In Paper Moon (10x04), Sam wears this from the morning they stake out Kate’s motel until the end of the episode. In Halt & Catch Fire (10x13), Sam wears this in the first scene in the Bunker, and when he and Dean burn the truck. In The Prisoner (10x22), Sam wears this shirt when he attempts to kill Crowley, and then keeps it on for the rest of the episode.